We are dedicated to helping your family enjoy optimal oral health and wellbeing. Visit us at least twice a year for preventive checkups & dental cleanings. Dr. Givan offers comprehensive cosmetic dental services to help patients in and around Fort Worth create more dazzling smiles. For patients who are missing one or more teeth a complete, healthy smile is possible with dental implants and mini dental implants. 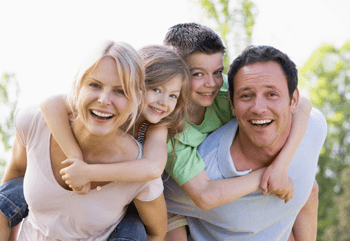 How can you and the other members of your family have a healthy smile? Through regular brushing and flossing at home, plus routine checkups and cleanings with Dr. Mark Givan. We recommend visiting our Fort Worth dental office at least twice a year for preventive care. With each visit we’ll clean your teeth, assess your smile's condition, and complete an oral cancer screening. We can also talk to you about extra care if we find any problems during your visit. Give us a call to schedule an appointment with Dr. Givan. We're happy to offer general, cosmetic, and restorative care to patients in and around Fort Worth. On every visit with Dr. Givan, you’ll receive personalized care that targets your specific needs. If you have questions about any service we recommend during your visit, we would be happy to answer them. Your dental checkups and teeth cleaning appointments are an essential part of your oral health care plan. We will screen for warning signs of common oral health concerns, provide a thorough professional teeth cleaning, and partner with you to create a personalized treatment plan to keep your smile healthy. Tooth decay is a common oral health problem. All patients are susceptible to it but young children who are just learning to brush are especially so. To provide patients of all ages with extra protection, we offer dental sealants. Dental sealants are applied to the chewing surfaces of teeth to physically protect them from decay-causing bacteria. Treatment only takes minutes to complete and provides long-lasting protection. As a family dental practice, we love having the opportunity to work with children. It’s our goal to create an environment where kids feel safe and comfortable. Many adults who struggle with dental phobias had traumatic experiences when visiting a dentist as children, so we work hard to ensure your child’s memories of visiting the office are positive. We offer a wide range of kid-friendly treatments to promote oral health and wellness at every stage of dental development. Periodontal disease is a common oral health condition better known as gum disease. This health concern occurs when plaque and tartar buildup on teeth irritates the gums, breaks down connective soft tissue, and causes sores or infection around teeth. This can be detrimental to oral health, and it is the leading cause of tooth loss for adults. 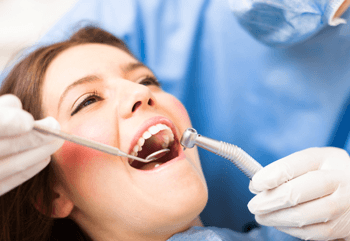 During your regular six month dental checkups, we’ll screen for the early indicators of gum disease and help you prevent this oral health issue. 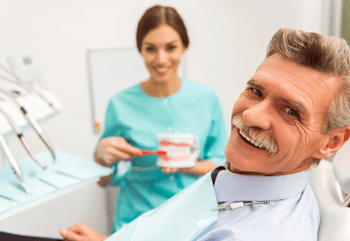 If you’re already suffering from gum disease, we offer a wide range of periodontal therapies to renew your oral health and help you maintain a healthy smile. Traditionally, fillings were crafted from metal amalgam. Even though amalgam was noticeable within the smile line, it was a durable filling material, and patients hoped it would create lasting strength. However, there are numerous reasons why these fillings fail within a few years of placement for many patients. To ensure your smile looks great and your filling stays put, we use tooth-colored composite resin filling materials. The restoration process is simple and can be completed in a single appointment. We numb the are to be treated, remove any damaged tooth structure, and place the putty-like composite directly onto the surface of the tooth. The composite seeps into crevices in teeth, and we shape the material to restore the lost structure. 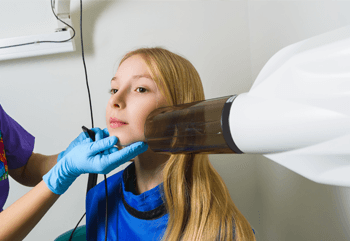 Then, a curing light is applied to harden the filling into place, creating a natural looking, feeling, and functioning restoration. If you experience nighttime teeth grinding and clenching, bruxism, or you participate in athletic competitions where your smile can be damaged, it’s time to visit our team for a mouthguard. Your custom crafted nightguard or sportsguard will fit comfortably to protect your teeth from excessive dental wear or potential sport-related injuries. If you snore, wake after a full night’s sleep still feeling tired, struggle to concentrate, or have chronic morning headaches, you may not think that these symptoms have much to do with each other. However, these are all early indicators of sleep apnea. This common sleep disorder causes patients to stop breathing for ten or more seconds at a time during sleep. The body responds by triggering a panic reaction that wakes the sleeper. You may not even remember waking up, but your body does. The long term effects of this sleep deprivation are detrimental to your health, so it’s important for you to receive accurate diagnosis and treatment. Many patients with sleep apnea believe that treatment with a CPAP system is their only option, but our skilled dentists can custom craft comfortable, portable, oral appliances that provide effective relief for many sleep apnea sufferers. If you break your arm, you go to the nearest emergency room or call emergency services for help. What do you do if you break your tooth? Many people would assume they have to wait to see the doctor during a schedule appointment, or they would visit an emergency room. Our team is here to help when our patients need us most, including emergencies. In many cases, we’re able to see you for an urgent dental care visit on the day you call. If we’re unable to fit you in immediately, one of our friendly team members will happily walk you through first aid and pain management steps you can take at-home before your visit.